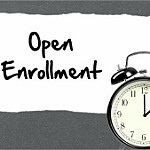 Please mark your calendars – the annual open enrollment period for Middlebury’s health and welfare benefit plans will be held from November 1st through the 14th. All benefits-eligible employees are required to complete the on-line process during this window so please watch your email on November 1st for instructions and benefit details. If you will be out of town and will not have access to the internet during the open enrollment period, please contact Human Resources at 802-443-5465 before November 1st to make alternate enrollment arrangements. Meanwhile, to reduce pressure on yourself during the open enrollment period consider beginning the process of estimating your flexible spending account elections now, so that you are ready to go when open enrollment starts.